Today in Seoul the New Zealand company Ohmio Automotion Ltd (a subsidiary of the HMI Group) signed an agreement to supply 150 Ohmio autonomous shuttles to the Korean company, Southwest Coast Enterprise City Development Co Ltd (SolaSeaDo). 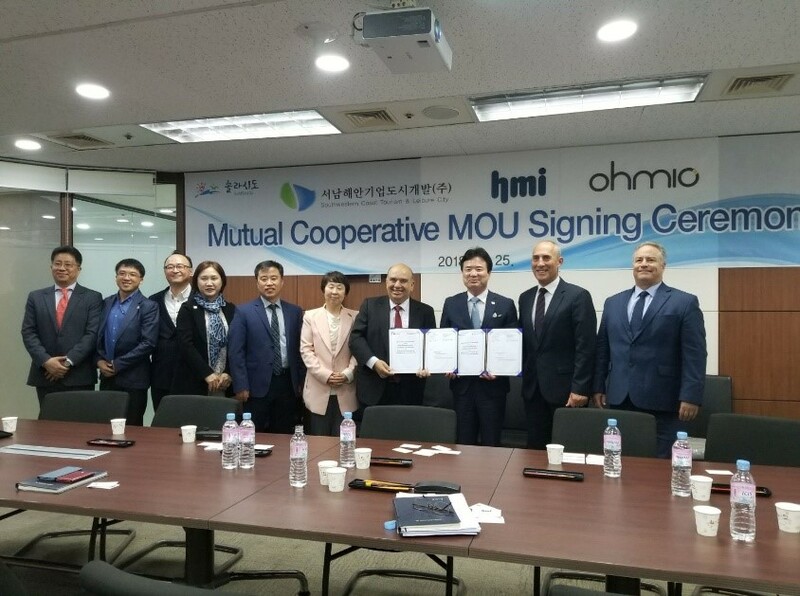 The agreement was signed by Mohammed Hikmet, the founder of HMI Group and its’ subsidiary, Ohmio Automotion Ltd, and SolaSeaDo President Yoon, Jin Bo. SolaSeaDo is in the advanced stages of securing a contract to build a large scale smart city in Korea and will know later this year if it has secured the contract for this development. 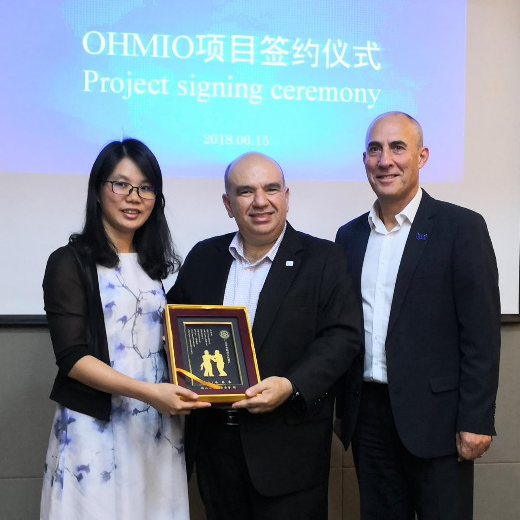 “This is a significant development for Ohmio and a major ‘vote of confidence’ in what we have developed”, Mohammed Hikmet said from Seoul where he signed the agreement. “The Ohmio LIFT™ is a wholly developed New Zealand autonomous shuttle. This commitment to source our vehicles for this Korean development is a great demonstration of what we can do in New Zealand” Hikmet said. The Ohmio LIFT is a 20-person shuttle that can be extended to carry up to 40-person (the Ohmio LIFT XT1) to operate on pre-determined routes without the need for a driver. It will provide services, similar to a tram, but with virtual rails. It is guided by a range of electronic systems. 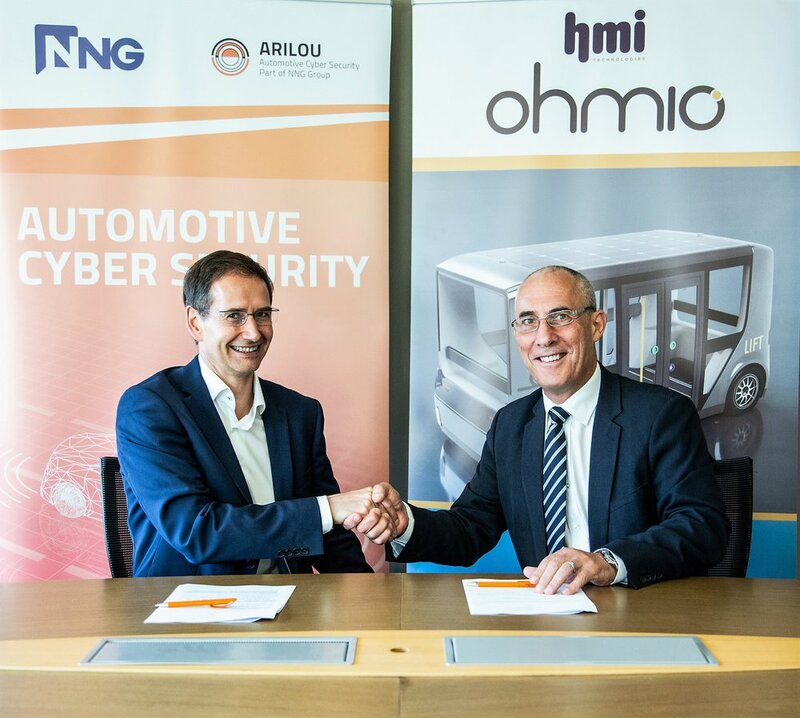 Ohmio has been developed by HMI in Pakuranga, Auckland and launched the first demonstration in Christchurch last September, using prototype vehicles to showcase the technology of driverless automated shuttles and the robotic technologies that underpin them. “These first vehicles were to show we had developed the know-how to build an autonomous vehicle. Since then we have been developing the Ohmio LIFT, a vehicle that we expect will be used in a range of environments such as airports, business parks and central city areas. We were proud to have made our first sale to Christchurch International Airport in March”, Hikmet said. Hikmet said that there is a lot of international interest in Ohmio, having recently met with potential investors and customers in Asia and North America. “I am very excited by the strong level of interest we have had in both the USA and Asia. I expect this arrangement with SolaSeaDo will be the first of many to come”, Hikmet said.